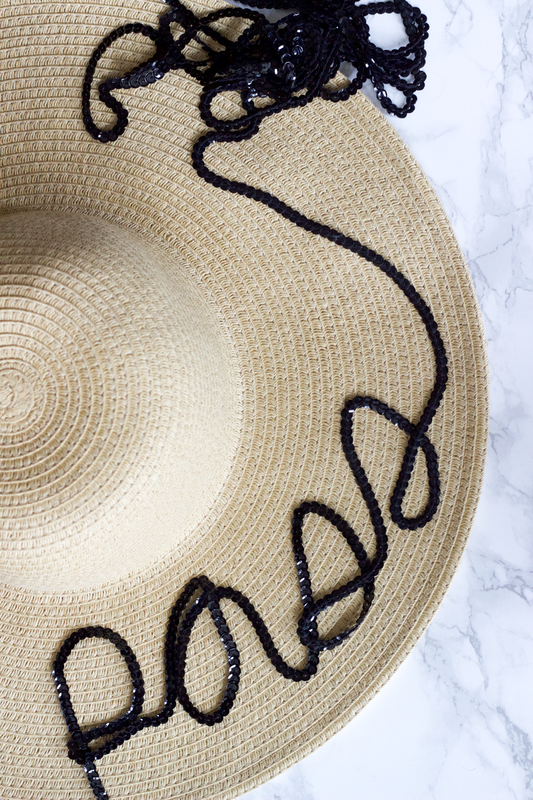 Ever since I went to the Kentucky Derby a few years ago, I've been lusting over a Eugenia Kim sun hat. 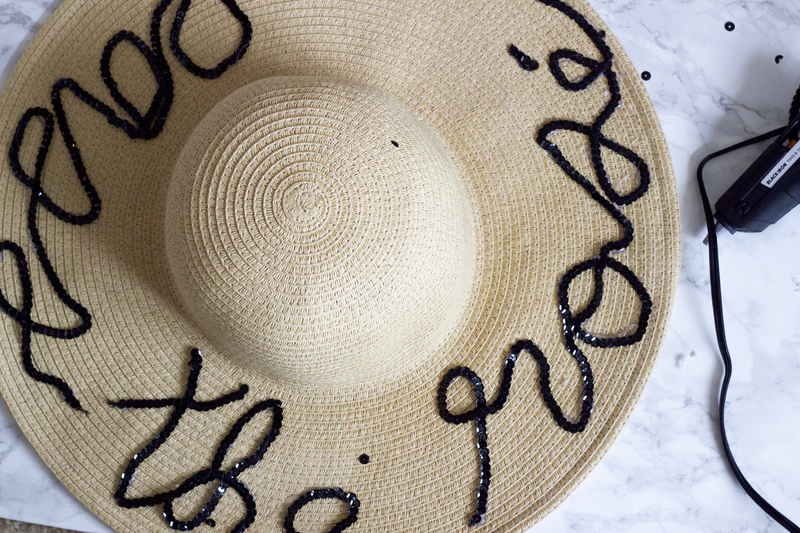 The oversized hats with cheeky sayings embroidered in sequins are a Derby staple but the $400+ tag is not my kind of deal. I've lusted from afar until I saw this DIY tutorial on the Glitter Guide a few weeks back. I tried out the tutorial this past weekend, and it is a total cinch! 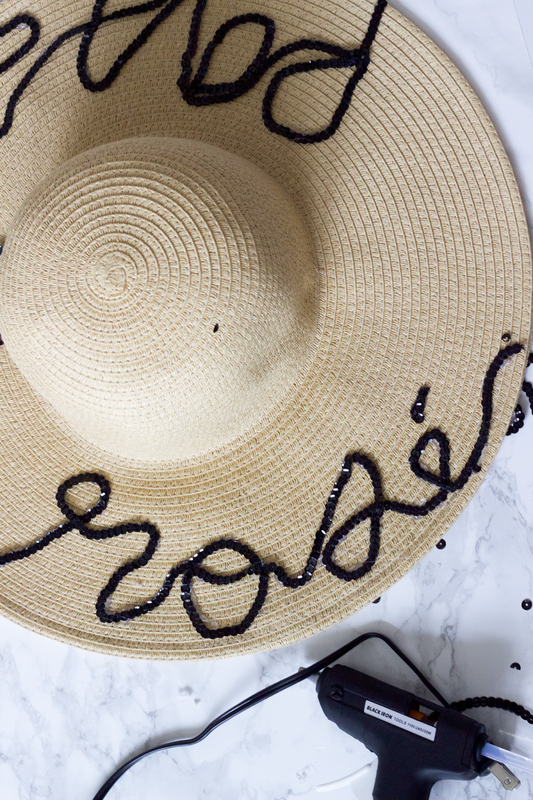 I used this hat because I already had it in my closet but it is on mega sale right now! I also don't live near a craft store so I bought this roll of sequins and this glue gun from Amazon and both were Prime eligible. Don't you just love Amazon Prime? 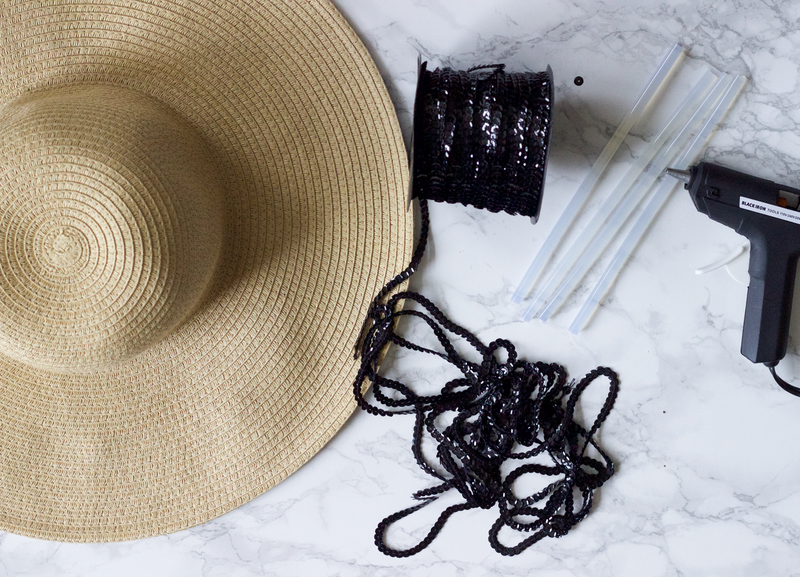 This is a super easy DIY even for those of us who don't fancy themselves as a crafter. Don't bother tracing your phrase with a pencil. I found it easier to lay out the sequins by word and then go back in with the glue gun. Lowercase a's, or any other letter where you retrace a part of the line, are hard! If I did it again, I would choose a phrase with an a. Before settling on "pass the rose", I thought about "rose all day", "champagne campaign", "not available" and "champagne only, please"
Let me know if you end up trying it for yourself!